My parents love baking and had really enjoyed previous trips to King Arthur Flour, so we signed them up for a class on baguette making earlier in the week. They had a total blast and we were delighted to be able to use the many loaves they made during the welcome dinner! Roger's parents had mentioned they were very excited to have some formal family portraits to hang on their walls, so we gave them a silver photo frame with our wedding date engraved on it. Now that we have our photos back from the photographer, we'll have one of the family portraits professionally printed for them so they can always remember the moment. 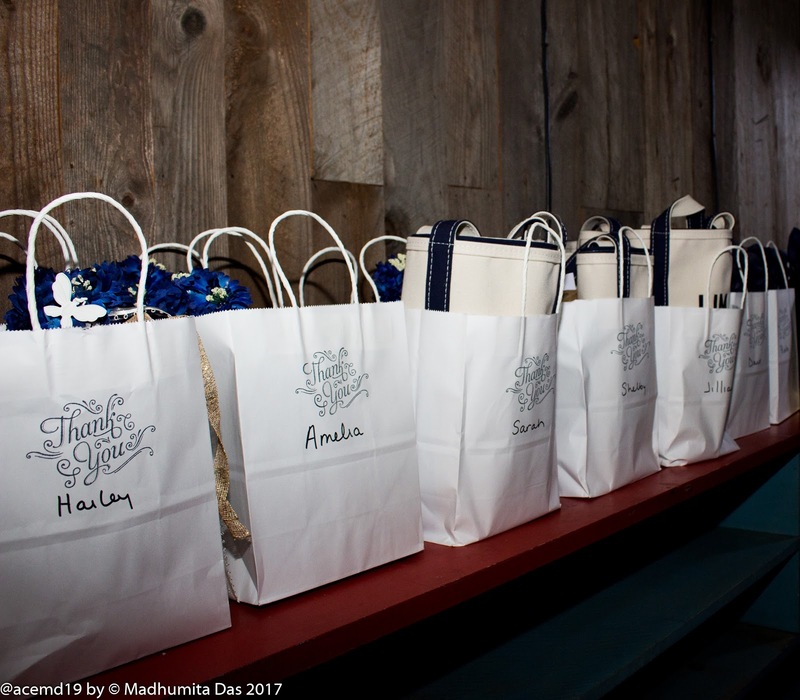 For our bridesmaids, we got some of my favorite things: monogrammed tote bags and pearl earrings! The groomsmen each got a bee-themed bow tie to wear the next day and a different pack of Timeline cards, since most of them had played with us in the past and really enjoyed it. Each of the flower children received a stuffed toy of their favorite animal from Jelly Cat, because I'm a total Kate Middleton fangirl, along with a book about being a flower girl/ring bearer (someone should really write a non-gendered child-attendant book! 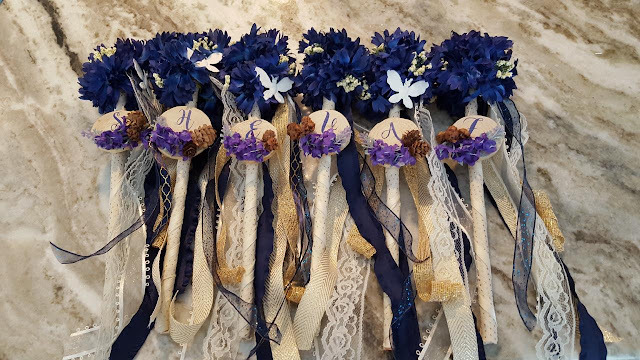 ), and the beautiful flower wands my sister handmade for each of them. She even included a monogram for each kid! And for our readers and ushers, we got a special "Gray Barns Blend" of lemon verbena and mint tea custom made by Free Verse Farm, and gave it to them along with a small tea pot to enjoy it in. I had such fun putting together these gifts, and I hope they helped show just a small amount of our gratitude to our incredible friends and family. This wedding was 110% a community effort, and we were overwhelmed by how wonderful everyone was the entire year of our engagement. Thank you to everyone!